The last part of the Math Game program is the worksheet used to edit the student list and view their test results. 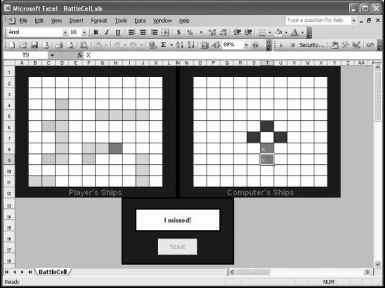 The worksheet interface is shown in Figure 8.12. The Students worksheet used for maintaining the student list and viewing test results. The file's data consists of the student's name and current testing level. The data in the <level> element will have to be updated whenever a student passes a test. A single file called students.xml stores all data describing the students. 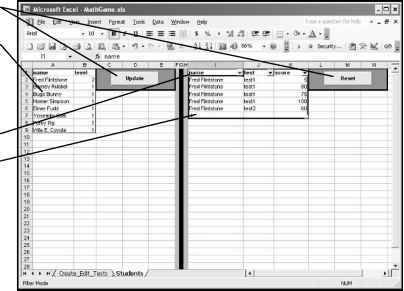 The data in the file is mapped to the first two columns in the worksheet using the XML map named students_Map. Test results are also stored in a single XML file called results.xml (listed next) mapped to the data in columns I through K via the XML map named results_Map. Because the file stores all test results, the program will have to add one more <student> element with each completed test. The <name> element is the name of the student; the <test> element, the name of the test; and the <score> element, the test result expressed as percent correct. One of the advantages to using an Excel list to view the results is the applied filter can be used to quickly view individual students or all student results (or a custom filter if desired). 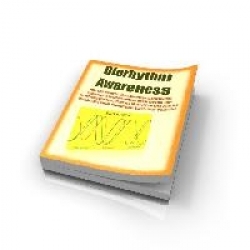 Who else wants to take advantage of biorhythm awareness to avoid premature death, escape life threatening diseases, eliminate most of your life altering mistakes and banish catastrophic events from your life.